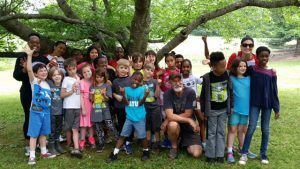 We had the pleasure to show the second graders from Miss Sherman’s class around the farm the other day. We all had a great time! It’s amazing how quiet it gets when farm beekeeper Miss Vicky brings out a frame of bees from one of the hives!